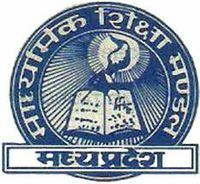 www.mpresults.nic.in Madhya Pradesh 12th Results 2017: Madhya Pradesh Board of Secondary Education (MPBSE), Bhopal has announced / declared MP Board 12th Results 2017 Today, 12th May 2017. In Arts stream the top three ranks have been secured by girls. First rank is held by Anushka Johri who has scored 472 marks out of 500. Second rank is held by Prabha Kewat who has secured 471 marks out of 500. Third rank is held by Savita who has scored 469 marks out of 500. In Science stream (maths group), the first rank is secured by Sanyam Jain who has scored 485 marks out of 500. Second rank is jointly held by Himanshi Sharma, Moin Khan, and Aniket Arora who have all scored 484 marks out of 500. Third rank is again jointly held by Mukesh Baghel, Akash Prajapati, Rishabh Makwana who have all scored 483 marks out of 500. In Science stream (biology group), first rank is secured by Rakhi Sahu with 480 marks. Second rank is held by Jyotsna Jaat with 479 marks and thir rank is held by Aditi Jain with 478 marks. In Commerce stream again the top three ranks are held by girls. First rank is held by Vanshika Aagiwal who has scored 480 marks out of 500. Second rank is secured by Priyanshi Rathi who has scored 478 marks out of 500. Third rank is secured by Aadishri Urdhareshe who has scored 476 marks out of 500. In Agriculture group, the first rank holder is Nitin Khare who has scored 469 marks out of 500. Second rank is secured by Sandeep Patel who has scored 469 marks. Third rank holder is Vijay Jatav with 464 marks out of 500. In Fine Arts and Home Science group, the first rank holder is Shanti Gupta with 458 marks. Second rank is secured by Usha Devi Shrivas with 454 marks. Third rank holder is Sudha Kushvaha with 450 marks.